Thanks again to Jem, for being my guest model today. 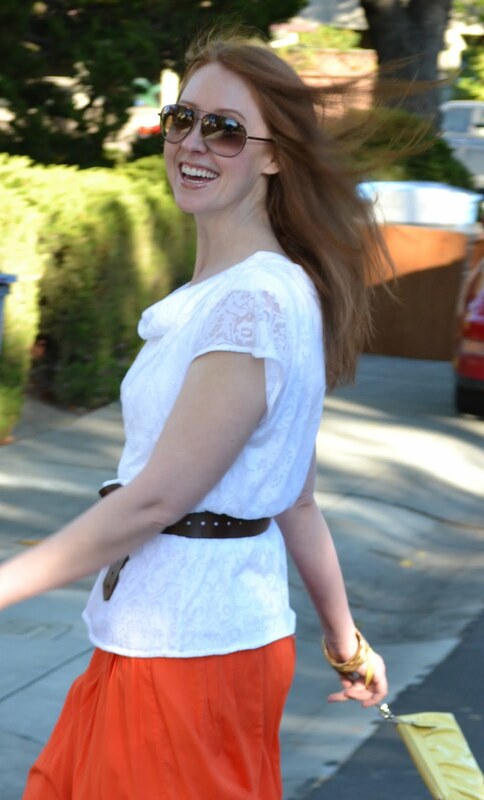 I paired her great orange maxi skirt from Ann Taylor Loft with a white top, leather belt, and leapard print shoes. So casual, comfy, and chic. Top: WHBM Sheer Draped Top On sale! 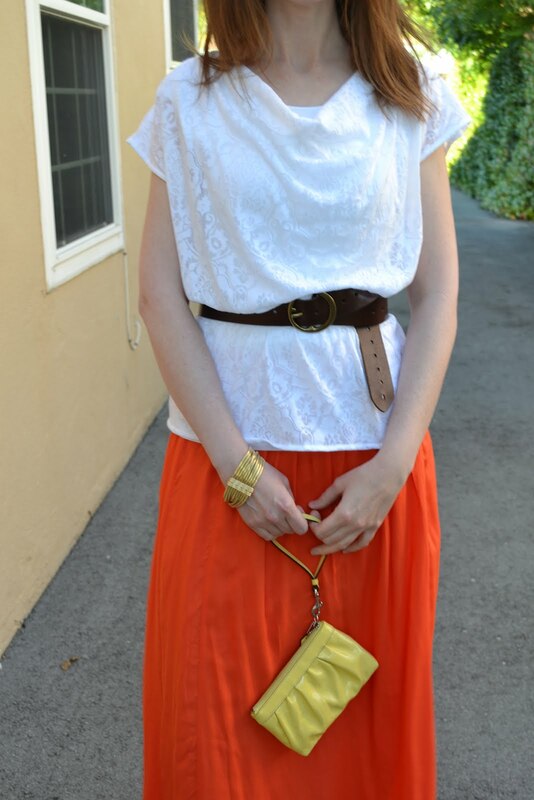 Skirt: Ann Taylor Pintucked Maxi skirt in orange. Not currently for sale, but I found it on ebay. Belt: purchased a few years ago, but here's another option. Shoes: Ann Taylor, here's a similar pair. Bracelet: Ann Taylor, here's another option.